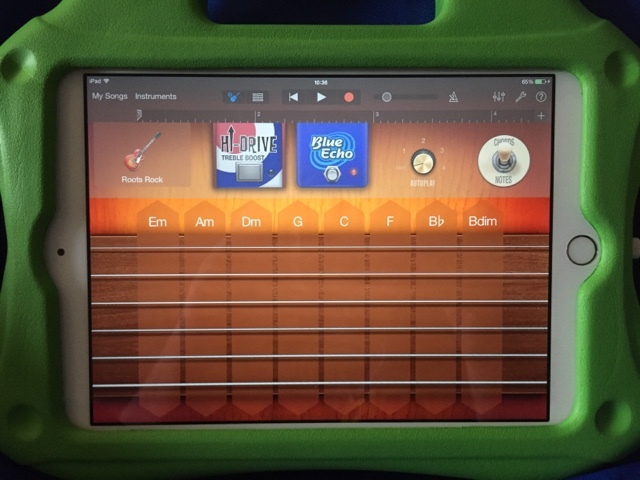 iPads have become must have equipment for every school class, every physiotherapist and disabled child at home. It's also amazing to see how many apps are on the app store designes specifically for our kids! 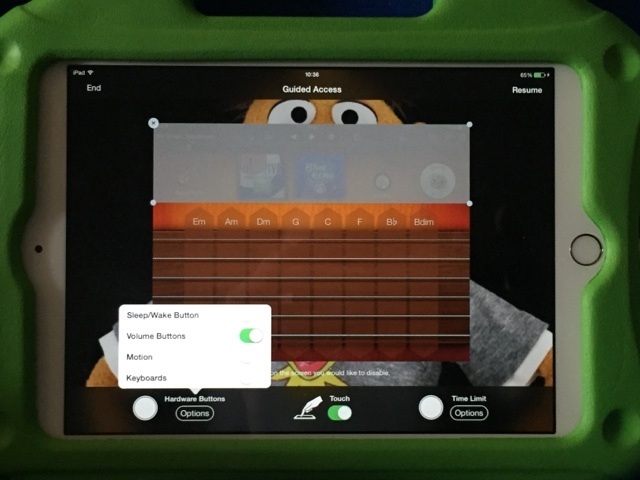 What's really cool is seeing how standard (and cheap) apps can be enjoyed by our kids. Have you ever played with a standard app and thought: "this would be perfect for my child" but when you try it out you have problems? They hit adverts by accident, open settings menus, 3 finger swipe into your emails or keep hitting the home button? Hopefully I can help. 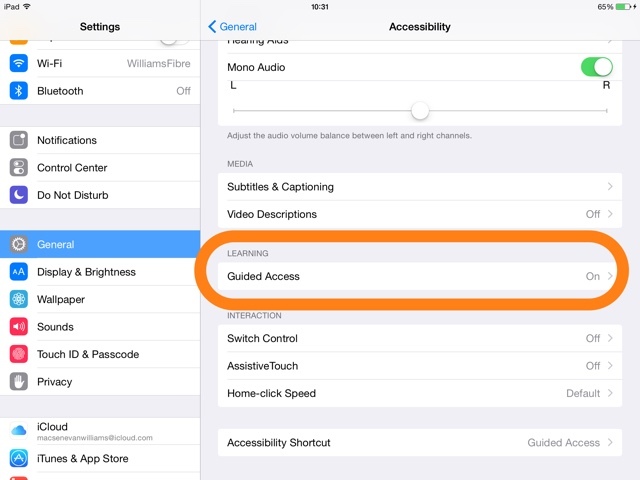 There's a hidden but very powerful feature on the iPad called 'Guided Access' which is exactly what you need. With this instrument you can play 48 different key sounds by moving your fingers across the screen. 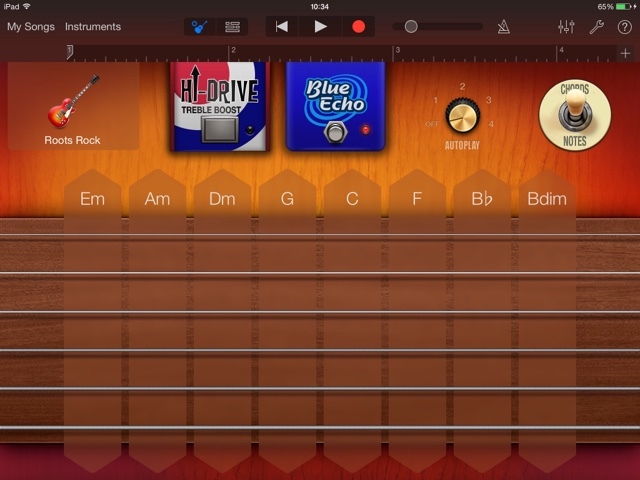 You can make a really cool tune very easily. The only problem is the top half of the screen is full of menu options! So let's get on with turning those off. 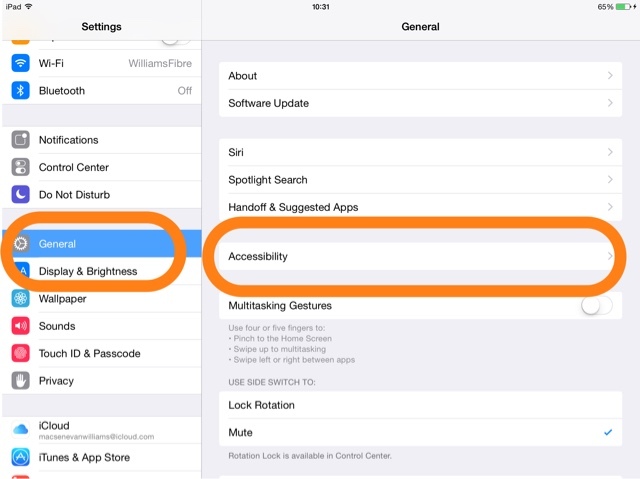 To enable 'Guided Access' you need to switch on the top and bottom options (if you don't have a passcode on your iPad then it may prompt you to set one up). From within here you can decide if you want the Home button, volume buttons and switches (classified as keyboard) to work while 'Guided Access' is turned on. You could also turn off touch if you want to show a video without screen touches interfering. The final feature is my favourate. You can setup block zones for areas that should not be clicked. These can be adverts or in my example the settings on the top half of the screen. To do this you draw either a box or circle around the area you want to block and then resize the shaded box to cover the area. When you're done click Resume in the top right hand corner. Now you're free to bash the screen as much as you like! 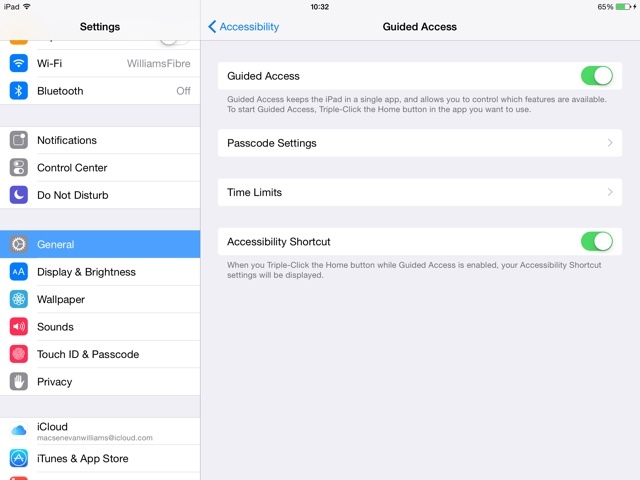 To turn off 'Guided Access' and get back to your normal iPad simply click the home button 3 times and chose End. I'd also recommend making your iPad drop Proof. These are the covers we use which are both brilliant!